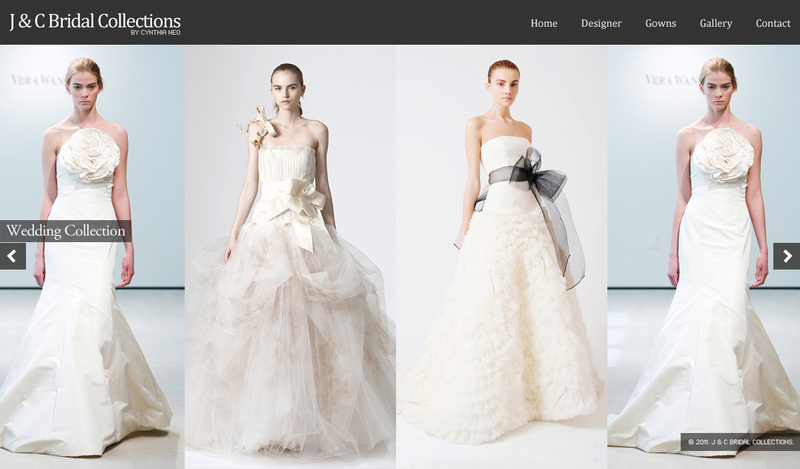 J & C Bridal Collection was designer's studio collection for the wedding dresses. 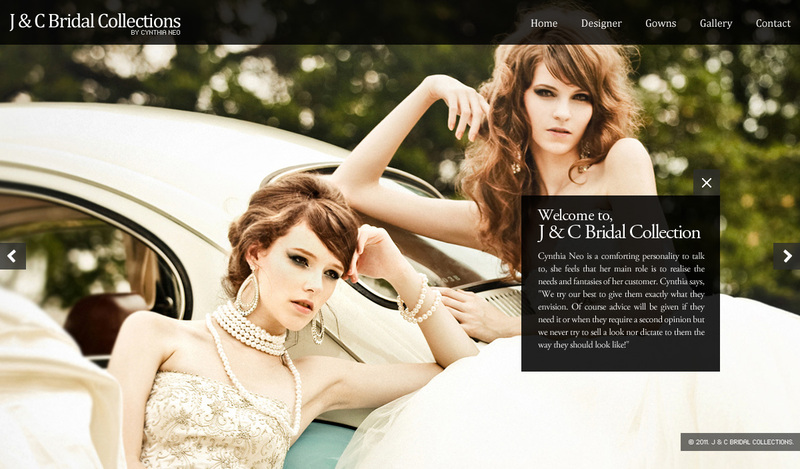 they want something as a showcase of their designs that presents their brand "elegant". 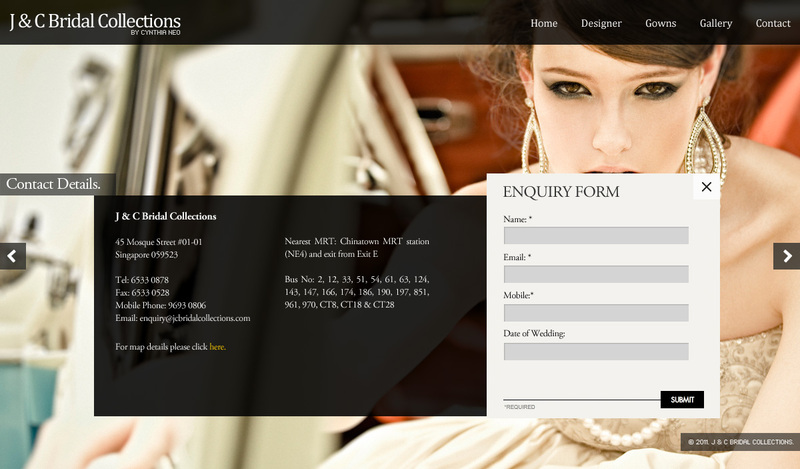 The service was more presentation than an online shop, to enquiry the inspiring wedding dress. I did experience design, visual design and front-end codes.